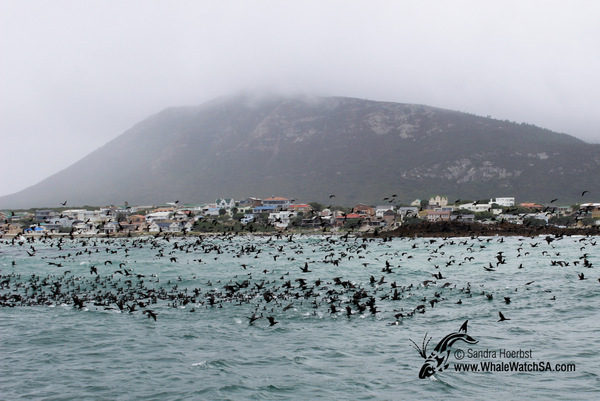 Just outside the Kleinbaai harbour in front of Franskraal we spotted thousands of Cape cormorants. 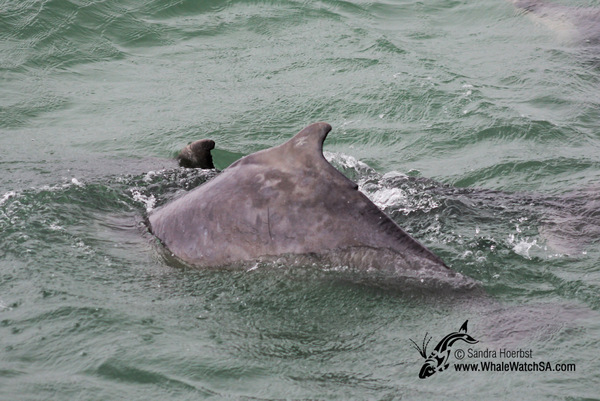 After leaving them behind we came across the Humpback dolphins we do find in our bay. 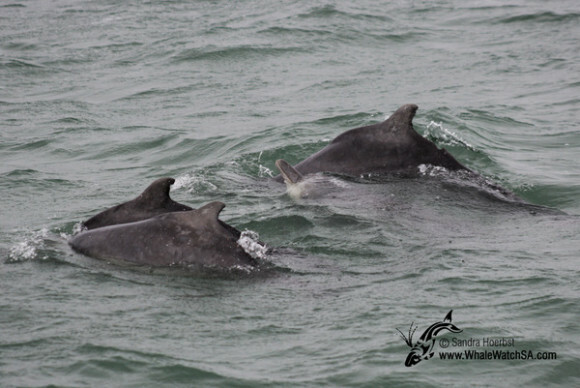 It was a quite big group today, over ten individuals. 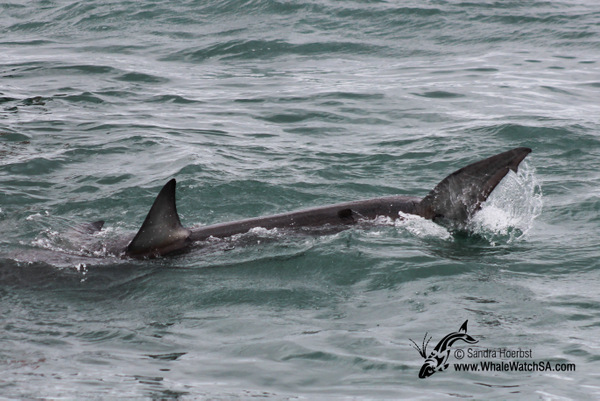 And after a long time we got to see a Great White shark around the shark cage diving vessels. 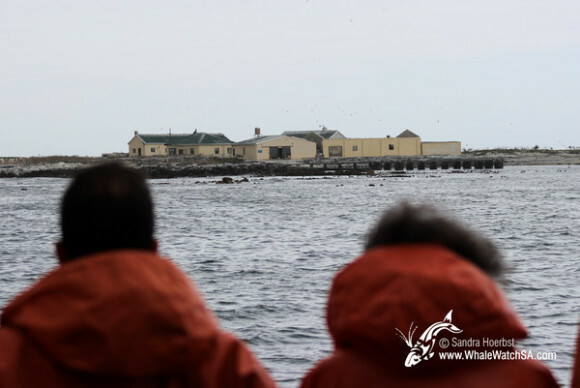 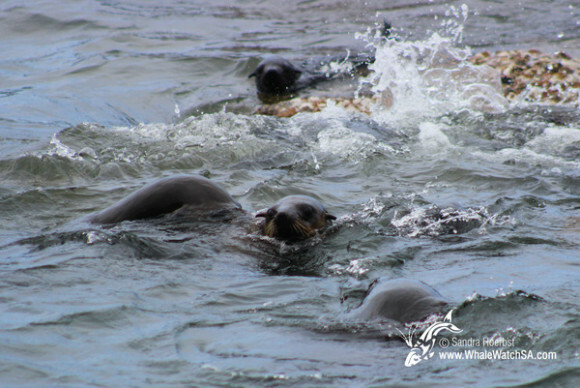 Geyser Rock was packed full with all the Cape Fur seals, but some of them decided to have a swim even it was overcast.